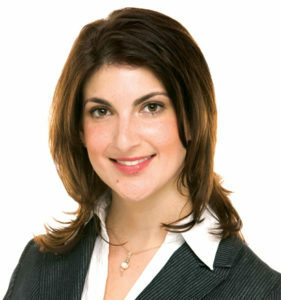 Lisa Andrews, Sales Representative, 647-274-9625 Real Estate, Toronto. Born and raised in Toronto, I have successfully helped over 200 clients buy and sell homes throughout the city. Several years ago, I began my career working alongside and helping train and develop the number one RE/MAX Team in Toronto. I currently work independently, by referral only, and pride myself on giving my clients the hands-on quality service they deserve. Outside of the experience I have acquired through helping clients buy and sell, my clients find the insights I have gained through my own purchases and sales an added benefit. In terms of the level of first-hand knowledge and information I provide them with. I purchased a condo from plans in Leslieville. Selling it for a profit four years later. I also purchased a home in the Beaches. Built in 1926 in original condition featuring termites, an oil tank, knob and tube wiring. I proceeded to renovate the home from top-to- bottom. Sold, in a bidding war. Recently, I have purchased a condo from plans in gentrifying Queen West. As well as, currently own a triplex in East Riverdale. I have an excellent understanding of the market, Toronto neighbourhoods. The stress involved in buying and selling and handling tenants. Also, the tax benefits and implications that come along with these scenarios. What you can expect from me is a ton of energy and complete dedication to helping you fulfill your goals without any pressure. I will prepare you for every possible scenario and your questions will always be answered promptly. You will receive regular updates regarding the market, the economy and sales. If you are purchasing, I will listen to your needs. Keep you informed with the sold prices of the homes and condos we have looked at. If you are selling, we will work together to develop a customized plan that you are comfortable with to get your home sold. I will keep you abreast of what is available and what has sold in your neighbourhood. Marketing my listings with the help of a professional photographer and home stager, as well as, handle all inquiries personally. When you call or email me, you will reach me directly and can expect a quick response!